The following article has been written by Valerie Payne. Author The Ecological Gardeners Handbook. International Edition. The founder of Biomimicry, Janine Benyus, coined the term ‘Life creates the conditions conducive to life’. In the current age known as the Anthropocene where human influence, mostly damaging, has affected eco-systems worldwide, this profound statement has many underlying implications. It raises questions such as ‘how can we foster conditions conducive to life?’ and ‘what effects do changes we make to an environment have on that environments ability to create the conditions conducive to life?’ This statement is also an important concept for ecological landscape design. It goes beyond sustainability, if one understands sustainability to mean maintaining what is, to what Benyus calls a ‘regenerative mindset’. Regeneration recognises that we already live in highly damaged environments, and aims to restore these to a healthy state. Think about what it takes for us as humans to live, to survive, on Earth. The air we breathe, the food we eat, the particular composition of Earth’s atmosphere are products of Nature, or Earth’s eco-systems. In all Earth’s eco-systems innumerable exchanges, or interactions, take place between living things such as plants, animals and microbes, and non-living things such as minerals, sunlight, water, oxygen and carbon. Collectively these create the right conditions that enable life to survive, and thrive, on Earth. In our current age when human influence has had such devastating consequences for eco-systems, our continued human survival on Earth depends on us undertaking a two way conversation with Nature. We must learn to watch and listen, and watch and listen well, to the hidden and often quite ways of Nature. We must start to understand that our survival is intricately connected to the survival of a whole host of other living things that co-create the Earth eco-system that sustains us. We must learn to design and create in a way that does not damage Nature, but supports those conditions that make it conducive for life to create life. This includes designing landscapes that regenerate all the many processes that sustain life. It also implies understanding the complex relationships that exist between plants, soil, climate, geology, geography and animal life that give rise to unique conditions and unique forms of life. With this in mind, I wrote An Ecological Gardeners Handbook ( see https://www.amazon.com/Ecological-Gardeners-Handbook-Eco-System…/B013CCJNSC ) as a practical guide on how to work with Nature to develop and manage garden landscapes that create conditions conducive to life. When we create a garden, we combine parts of the human world with parts of the natural world. This creates a new sort of garden eco-system. The way we combine and manage all the elements in a garden has a big impact on the health of our garden eco-system. Ecological gardening aims to create a healthy garden eco-system that regenerates local ecological processes, supports local wildlife ( birds, insects, pollinators etc), serves people’s needs, and creates a naturally healthy garden environment. Why is ecological gardening important? Many gardens are expensive, time consuming and heavily reliant on irrigation and chemicals. They also do not provide much habitat for important wildlife such as birds, insects, etc. Gardens like these contribute to pollution, waste water and energy, can damage the soil, and often change the natural environment so much that local native plants and wildlife battle to survive, leading to local extinctions of wildlife. Pesticides also often contain many cancer and other disease causing chemicals. When we create an ecologically healthy garden, we create gardens that become life regenerating mini-conservancies, rather than life destroying degraded ecosystems. Is ecological gardening like organic gardening, or permaculture, or indigenous gardening? Ecological gardening complements garden practices such as the above. 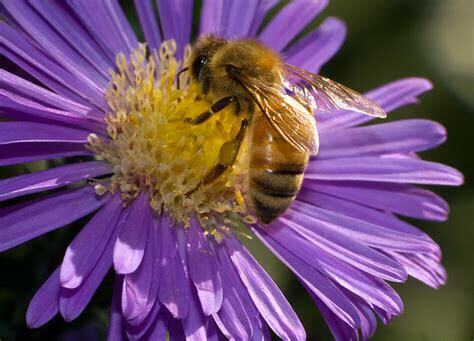 Ecological gardening asks questions such as ‘What are important pollinators in my local environment, and how can I design habitat in my garden to attract these? How do wild plants grow in this area, and how can I use their growth patterns to inspire my own garden design? How can I create healthy soil, or control pests or plant disease, without using chemicals? How can I create life –regenerating conditions in my garden? What are the connections between plants in my garden, soil conditions, and important beneficial garden creatures? Can an ecological garden grow food crops, or exotic plants? Yes definitely. The trick is to know how to combine a wide variety of different plants so that Nature’s needs are taken care of, as well as human needs. I don’t have an ecological garden. Can I make it more ecological? Yes, with thoughtful planning any garden can become more ecological over time.